2014 Scion iQ How our users rated the 2014 Scion iQ. Based on 1,074 user rankings. Driven or own this vehicle? Rank this vehicle to share your opinion. 2014 Scion xD How our users rated the 2014 Scion xD. Based on 1,215 user rankings. Driven or own this vehicle? Rank this vehicle to share your opinion. 2014 Chevrolet Volt How our users rated the 2014 Chevrolet Volt. Based on 1,556 user rankings. Driven or own this vehicle? Rank this vehicle to share your opinion. 2014 Mitsubishi Mirage How our users rated the 2014 Mitsubishi Mirage. Based on 868 user rankings. Driven or own this vehicle? Rank this vehicle to share your opinion. 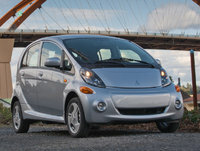 2014 Mitsubishi i-MiEV How our users rated the 2014 Mitsubishi i-MiEV. Based on 450 user rankings. Driven or own this vehicle? Rank this vehicle to share your opinion. 2014 Chevrolet Spark EV How our users rated the 2014 Chevrolet Spark EV. Based on 862 user rankings. Driven or own this vehicle? Rank this vehicle to share your opinion. 2014 Volkswagen GTI How our users rated the 2014 Volkswagen GTI. Based on 1,405 user rankings. Driven or own this vehicle? Rank this vehicle to share your opinion. 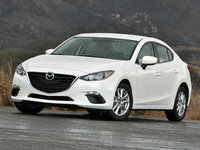 2014 Mazda MAZDA2 How our users rated the 2014 Mazda MAZDA2. Based on 1,395 user rankings. Driven or own this vehicle? Rank this vehicle to share your opinion. 2014 Honda CR-Z How our users rated the 2014 Honda CR-Z. Based on 1,473 user rankings. Driven or own this vehicle? Rank this vehicle to share your opinion. 2014 MINI Cooper How our users rated the 2014 MINI Cooper. Based on 1,138 user rankings. Driven or own this vehicle? Rank this vehicle to share your opinion. Based on 1,147 user rankings. Driven or own this vehicle? Rank this vehicle to share your opinion. 2014 FIAT 500e How our users rated the 2014 FIAT 500e. 2014 Honda Fit EV How our users rated the 2014 Honda Fit EV. Based on 583 user rankings. Driven or own this vehicle? Rank this vehicle to share your opinion. 2014 Mitsubishi Lancer Sportback How our users rated the 2014 Mitsubishi Lancer Sportback. 2014 FIAT 500 How our users rated the 2014 FIAT 500. Based on 1,709 user rankings. Driven or own this vehicle? Rank this vehicle to share your opinion. 2014 Hyundai Elantra GT How our users rated the 2014 Hyundai Elantra GT. Based on 1,403 user rankings. Driven or own this vehicle? Rank this vehicle to share your opinion. Based on 1,176 user rankings. Driven or own this vehicle? Rank this vehicle to share your opinion. 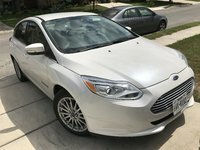 2014 Ford Focus Electric How our users rated the 2014 Ford Focus Electric. 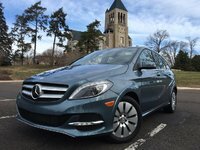 2014 Volkswagen Golf How our users rated the 2014 Volkswagen Golf. Based on 1,659 user rankings. Driven or own this vehicle? Rank this vehicle to share your opinion. 2014 Kia Rio5 How our users rated the 2014 Kia Rio5. Based on 1,411 user rankings. Driven or own this vehicle? Rank this vehicle to share your opinion. 2014 Volkswagen Beetle How our users rated the 2014 Volkswagen Beetle. 2014 Toyota Prius Plug-In How our users rated the 2014 Toyota Prius Plug-In. Based on 1,512 user rankings. Driven or own this vehicle? Rank this vehicle to share your opinion. 2014 Toyota Prius How our users rated the 2014 Toyota Prius. Based on 1,446 user rankings. Driven or own this vehicle? Rank this vehicle to share your opinion. 2014 Nissan Leaf How our users rated the 2014 Nissan Leaf. Based on 1,240 user rankings. Driven or own this vehicle? Rank this vehicle to share your opinion. 2014 Toyota Yaris How our users rated the 2014 Toyota Yaris. 2014 Nissan Versa Note How our users rated the 2014 Nissan Versa Note. Based on 1,136 user rankings. Driven or own this vehicle? Rank this vehicle to share your opinion. 2014 Chevrolet Spark How our users rated the 2014 Chevrolet Spark. Based on 1,516 user rankings. Driven or own this vehicle? Rank this vehicle to share your opinion. 2014 Kia Forte5 How our users rated the 2014 Kia Forte5. Based on 904 user rankings. Driven or own this vehicle? Rank this vehicle to share your opinion. 2014 FIAT 500L How our users rated the 2014 FIAT 500L. 2014 smart fortwo electric drive How our users rated the 2014 smart fortwo electric drive. 2014 Toyota Prius c How our users rated the 2014 Toyota Prius c.
2014 Honda Insight How our users rated the 2014 Honda Insight. Based on 1,699 user rankings. Driven or own this vehicle? Rank this vehicle to share your opinion. 2014 smart fortwo How our users rated the 2014 smart fortwo. Based on 860 user rankings. Driven or own this vehicle? Rank this vehicle to share your opinion.